As seen on Fox 13, WFLA Channel 8 and the Tampa Bay Times, this exclusive estate on Lake Keystone is available for sale. This palatial estate spans over 12,700 heated square feet on six manicured acres. This ultra luxurious property is well suited for the buyer who demands the utmost in privacy on an estate that features over six bedrooms and eleven bathrooms. Amenities for even the most discerning buyer include heated pool and spa, movie theater, dance studio perfect for a ballerina, full size gym, game rooms to enjoy a game of billiards, wine cellar, and even a private golf simulation room. The exceptional grounds of the estate will allow the new owner to enjoy horseback riding as the grounds are equestrian friendly or enjoy a game of tennis or basketball as you look on to the pristine waters of Lake Keystone. Car enthusiasts will delight in the multiple garages and parking for all their collections. This magnificent estate is suitable for many different tastes. Whether you enjoy hosting world class social events, or a sprawling compound for your family or are just looking for privacy and security in a compound that you would truly never have to leave, this is the property for you. This spectacular property is turn-key and ready for its new owner after a massive $1,000,000 restoration and renovation. Sale now includes additional, adjoining 3+/- acre parcel to create an estate over 6 acres MOL. Equestrian zoned allows for multiple horses. 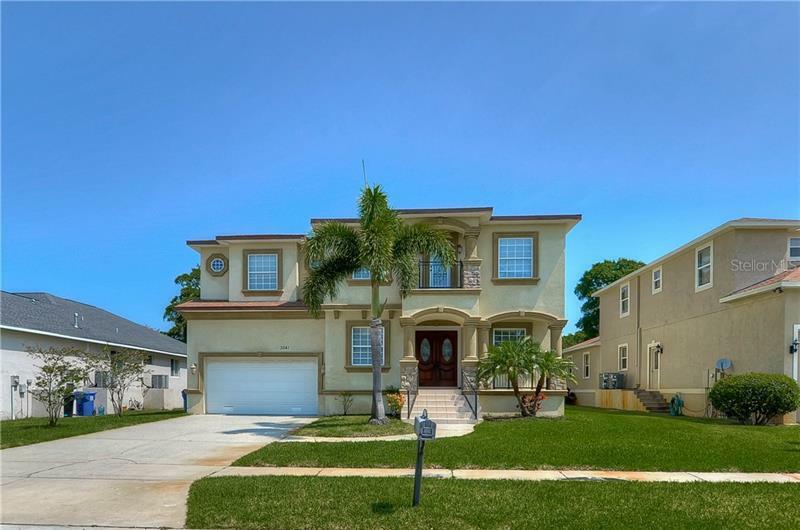 Just 20 minutes to Tampa International Airport.